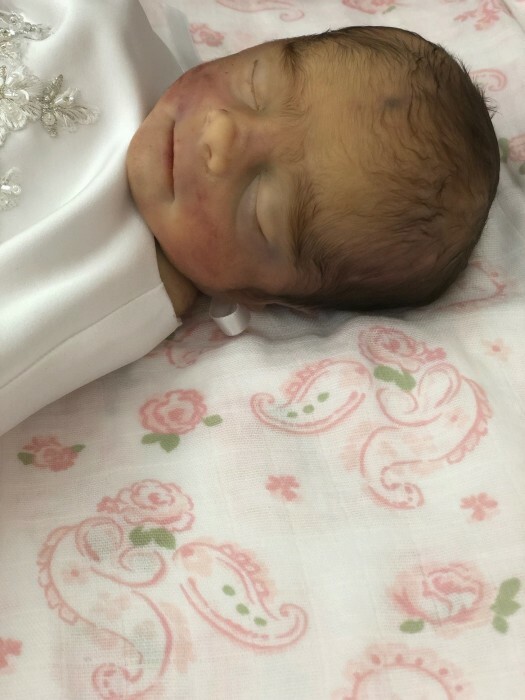 Louella Grace Anthony, infant daughter of Mary Anthony, passed away Saturday, January 12, 2019 at Norton Children's Hospital in Louisville, KY.
She was born Friday, January 11, 2019 at U of L Hospital in Louisville. Louella Grace is survived by her mother Mary Anthony and one sister Payton Durbin. Other survivors include her grandfather Patrick Anthony and grandmother Bernie Anthony. Other survivors include two uncles; Jeremy Harris (Stella) and Joseph Anthony (Maria) and several cousins.